There are two main types of events we hold at trackmasters. For drivers coming up to speed, we have a premier driving school that caters to both early and skilled drivers still learning the techniques to share the track safely while improving their skills. 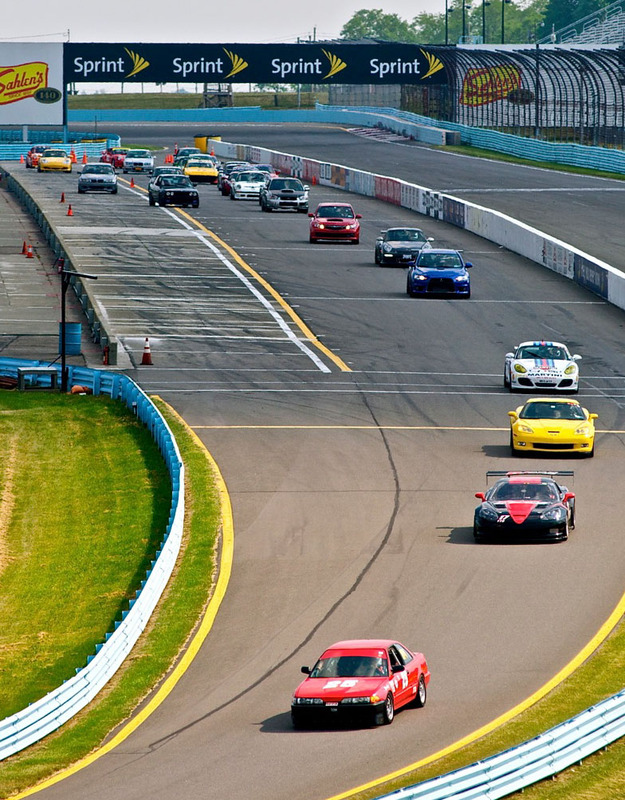 For drivers who have matured through our program, we offer an Open Track event, providing more open track time than any other driving event available. The trackmasters intermediate driver school is crafted to help high performance drivers make a successful transition from being a student in a driving school event to an open track participant. It is intended for the driving school student who has had a minimum of 10 track days and has been “soloed” in at least two events. The program has two components; classroom instruction and on-track instruction with a highly qualified instructor. Classroom instruction focuses on appropriate open track protocols, car dynamics, limits, late passing, off line entry to corners, traditional lines vs. alternative lines thru corners, extending your braking zone, traction and the contact patch, the dynamic nature of traction and what to do when the unexpected happens. There are three classroom sessions scheduled each day. There are four 25-minute on-track sessions scheduled for each day. Each student is assigned his or her own personal coach for the entire event. Student/coach pairings are made after giving thoughtful consideration of both the students experience and type of car they drive. On track sessions emphasize, develop and reinforce the skills and behaviors that open track drivers must consistently practice. Each student receives on-going assessment of their progress both verbally and written. As the student progresses plans are made to slowly indoctrinate the student into the open track program that is run concurrently with the school. 3. 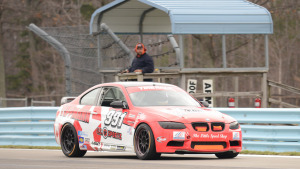 I have been an Intermediate (or above) HPDE participant in four or more events. We have been offering open track events for qualified drivers since 1990. Our goal has always been to provide a safe and enjoyable experience for all participants. To help insure a quality product track protocols have been developed that we expect all drivers to practice. We believe that a safe track environment requires all drivers understanding and consistently practicing the protocols established for our events. Drivers who are unpredictable and/or choose not to conform to established track protocols are a safety hazard to others. We are very much aware of how a few drivers behaving badly can ruin an event for everyone. all basic driving skills must be “automatic”. Must be comfortable driving off-line. 360 degree track awareness at all times. Our open track schedule gives participants up to 5 ½ hours of track time each day. There are four ½ hour sessions within the day when our intermediate students are on track. While the intermediate students are on track time is scheduled in the classroom for drivers who want to share their videos or track data with a veteran racer/driver. Everyone can benefit from the services of a coach. There are also times when it is beneficial to meet with the entire open track group while the students are on track. With trackmasters you are more than just a name on a list. 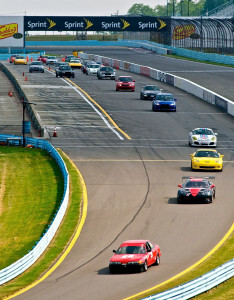 We truly want to provide you with the best possible open track experience. We are confident that our emphasis on consistent track protocols, the assessment of all new participants, our no tolerance policy towards deviant behavior on track and the availability of coaching puts us a cut above the rest. Come join our family.